From hotels offering specialist pet afternoon teas to gastro-inns pouring out the Pawsecco on arrival, there is a new breed of hos-paw-tality on the rise, which moves away from being a barely dog-tolerant to a truly dog-welcoming experience. Launching their dog-friendly holiday division in 2014, PetsPyjamas has been a driving force in this shift, staying ahead of the curve to offer owners and their pets all the barks and whistles of the latest trends included in their exclusive packages. Doubling in size year on year, PetsPyjamas travel business shows no signs of slowing down either, with 30% of their customers planning to take at least two trips away with their dog next year – 87% of which will be taken inside the UK. PetsPyjamas share their top six dog-friendly travel predictions for 2019, along with some destination inspiration to excite. 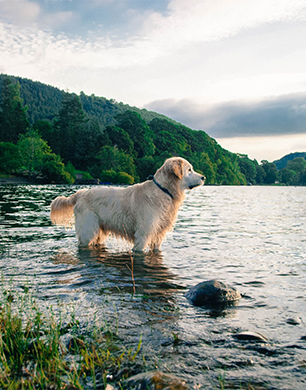 #DogsofInstagram Adventures – popular dog influencers including award-winning Spaniel Life show their pets ‘living their best life’ in idyllic moments on pretty beaches, by breathtaking lakes, picturesque cliff tops and more. Where influencers go, a millennial follows so getaways that have the Insta-factor are expected to appeal to the younger, image-conscious dog owner. 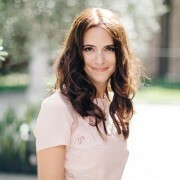 In fact, one in five of PetsPyjamas customers revealed they are most attracted to exterior shots of a property and its surrounding when booking. 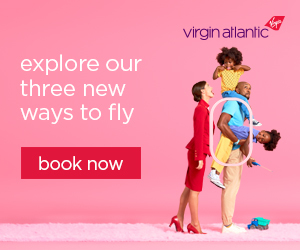 Top spots for the ‘gram include the Lake District’s Another Place set on the stunning shores of Ullswater; Karma St Martin’s on Isle of Scilly – a unique spot with scenery that could easily look like you are abroad; Ellenborough Park for stately garden posing and The Lugger with amazing views of and set right on the Cornish coast. Rest & Rover ­– in the fast-paced, all-consuming world we now live in, high stress levels and an inability to switch off are just a couple of the daily worries of modern life. Time spent with your dog is a proven and great distraction, be it for a long mind-clearing walk or a cosy afternoon cuddling on the sofa. So, as life’s pressure cooker continues to bubble, PetsPyjamas predicts that we’ll look more to our dogs for R&R and digital detox. Perfect retreats to escape the hustle and bustle include Hex Cottage in Suffolk – a dreamy cocoon of days gone by with no electricity and only candles to help you see at night; Congrove Barns Bath where you can switch TV for stunning valley views from the outdoor hot-tub or the Auchrannie Resort – an upmarket haven located in a quiet glen on the Isle of Arran. It’s All About The Dog – according to data research company Mintel, millennials and young couples are fueling a major boom in spending on pet, with a predicted 25% increase over the next five years on the estimated £1.7bn owners will spend on their pets in 2018. But when a dog has more clothes, gourmet treats and pet tech gadgets than they can shake their favourite stick at, pet owners will look for new ways to reward their furry friend’s affections, making a stay where the dog really is the star of the show predicted as the ultimate pet gift. 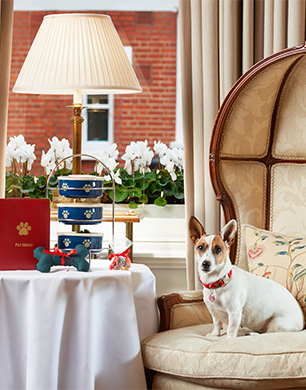 London’s Egerton House Hotel offers its canine customers a delicious afternoon tea and bed menu; luxurious 10 Castle Street in Dorset lets dog have run of their house so you don’t have to spend time apart; and for a true pets-in-the-city experience The Lanesborough will fuss over a dog with a butler walk in Hyde Park and am impressive haul of goodies when you land in your five-star room. Dog-friendly Mini Moons – expensive wedding costs, event planning fatigue and restrictions on time off work has made the mini-moon – taken often in the UK, an increasingly popular choice for modern newlyweds. Dogs owners have the added issue and cost of what to do with their dog if planning a trip away after their wedding. In 2018, PetsPyjamas saw a rise in the increase of customer requests for post-wedding getaways and with dogs considered part of the family and so easy to slot into domestic holiday plans, they expect these enquiries only to rise. Properties offering romance for you and a welcome for your dog include The Fish in the Cotswolds where you can take your escape to new heights in their dog-friendly treehouses; the Beach Hut Suites and Beach Huts at the Cary Arms – a romantic stay for food, walks and cosy time together on the Devon coast and 15 Great Pulteney, a boutique townhouse where you can use their individually designed rooms and gorgeous spa as your backdrop for a stay in the beautiful city of Bath. Four-Legged Festival Petaways – hosted by Chris Packham, dog-centric festival Dogstival launches in May with live music, artisan food and drink, a vintage funfair, a dog-friendly beach and more. 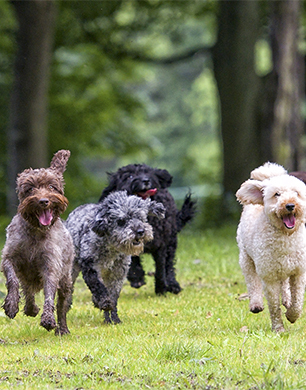 Set in the New Forest, the heart of doggy paradise, with a wealth of dog-friendly hotels, properties, walks and stuff to do with your dog in the area, PetsPyjamas expects out of towners will make a weekend of it. Near to Dogstival’s Pylewell House location is upscale Chewton Glen Hotel & Spa with its luxury dog-friendly treehouses literally right in the forest; The Mayflower, a stylish pub with the forest to one side, the coast to the other; The Master Builder’s Hotel located on Lord Montagu’s Beaulieu Estate right on the Beaulieu River and New Park Manor, a family friendly spot with forest walks straight from the grounds and a super spa. Sniffer Trips – road trips with your Rover! With staycationing being a massively popular choice for dog owners, PetsPyjamas has seen a rise in multi-stop trips around the UK, which they believe will be a trend for adventure lovers in 2019. Their Pet Concierge team are experts at planning the perfect getaway to suit all kinds of budgets, tastes and dogs. Their suggested routes for a dog-friendly adventure includes hotel hopping along the South West Coastal Path through Cornwall, Devon and Dorset and The Cotswolds for cosy cottage/country pubs stays or for comfortable and chic layovers to/from North/South. Another suggested route to explore is to stay in the Lake District, heading up to Scotland and then coming back down through Yorkshire. PetsPyjamas lead the pet-friendly destination sector with something for every breed, personality and budget, and exceptional dog-friendly packages you won’t find anywhere else. Dogs stay free, a complimentary personalised Pet Travel Kit is gifted for all stays and all breaks are bookable by the PetsPyjamas’ free expert Pet Concierge team – a dedicated pack of dog lovers and experts, who help their furry customers and families find the perfect destination for them. PetsPyjamas also offers a fabulous collection of over 10,000 pet accessories – all handpicked by in-house pet stylists and curated by breed.